A group of visually impaired and normal-sighted young people from Tallinn had an unforgettable experience last night, when they took part in the opening ceremony at the UEFA Super Cup match in the Estonian capital – and, to put the icing on the cake, met the stars of Real Madrid and Atlético de Madrid. The young people formed a mixed choir to perform the Florence and the Machine Song You’ve Got The Love to the sell-out crowd before the kick-off of the big match at the Lilleküla Stadium. The choir comprised children from the Tallinna Heleni Kool (Helen’s School in Tallinn), which teaches children with visual and hearing impairments as well as multiple disabilities, and Tallinna Poistekoor (Tallinn Boys’ Choir). 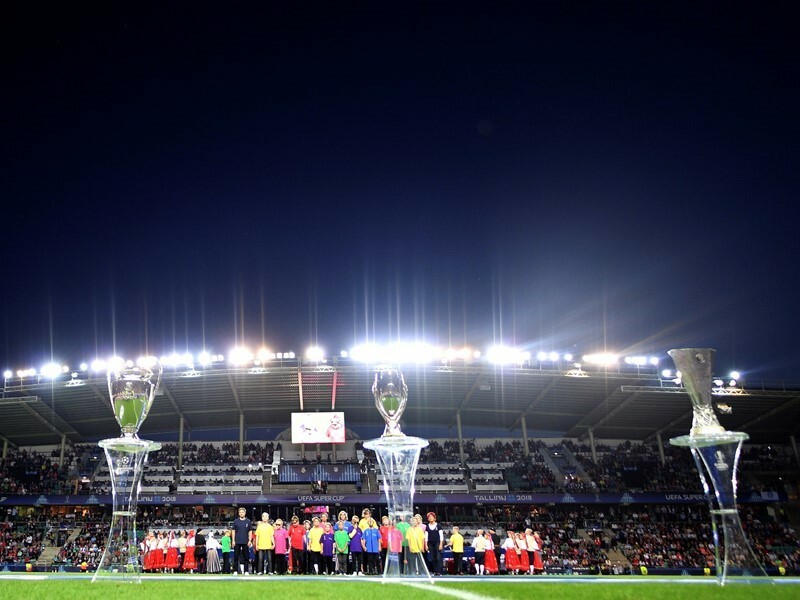 The performance was organised by the UEFA Foundation for Children. Ahead of the match, the youngsters savoured the thrill of a lifetime when they met players from the two teams – uniting in a love of football, and highlighting the importance of integrating children with disabilities into society. Two of the young people – Aron and Merilyn, were interviewed by Toni Kroos and Antoine Griezmann respectively, about their lives and how they enjoyed football. The interviews were part of UEFA’s #EqualGame campaign, which aims to raise awareness of inclusion, diversity and accessibility in football. “it’s the first time our students have been involved in such a big project, and I’m very happy,” said Erki Korp, the head of Tallinna Heleni Kool.